If you're a fan, you know how much Indy loves his hat. He almost lost it in the Temple of Doom and risked his life to save it. 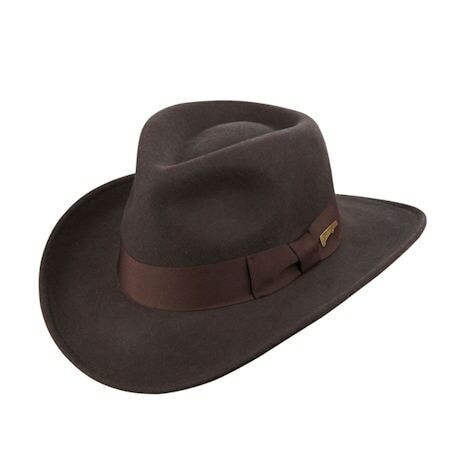 Wool felt with a 3" brim, grosgrain trim and small metal Indiana Jones pin, this handsome sable brown fedora is crushable, packable, and ready for adventure. Officially licensed. Imported. Sizes M-XL.